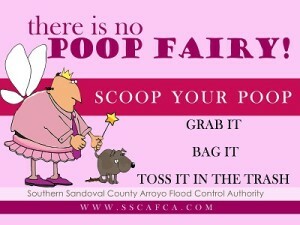 The poop fairy has been introduced on signs as part of SSCAFCA’s pet waste pilot program phase two. 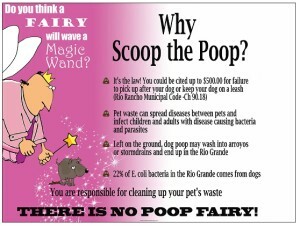 The goal of the program is to bring awareness of the impact of “dog poop” on the Rio Grande and encourage citizens to clean up after their dogs. 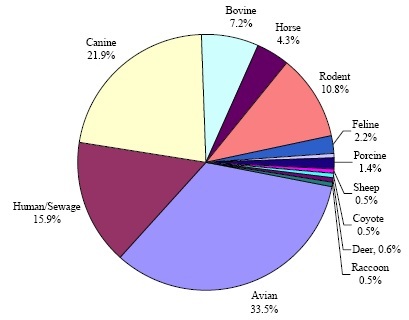 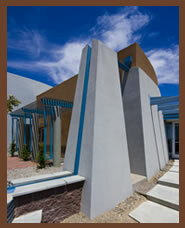 In studies of biological contaminates to the Rio Grande (river water) 22% of E. coli comes from dogs.  The first phase of the project highlighted pet waste left along the 4 to 1 trail and near Tree farm pond a by placing flags in/near the poop piles. 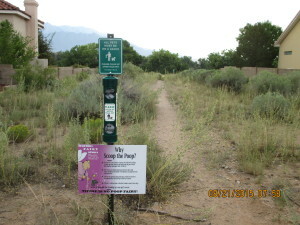 The next step in the process was to place the “Why Scoop the Poop” and “There is no Poop Fairy” signs along this section of trail to raise awareness. Pet waste stations were placed near the trail entrances to provide easy opportunity for dog walkers to do the right thing. 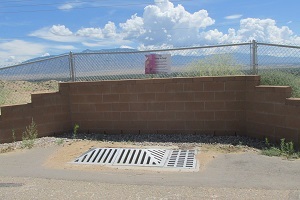 SSCAFCA and the City of Rio Rancho worked together to place refillable pet waste stations at trail entrances and inform citizens about stormwater. If you have extra plastic bags you can up-cycle them by adding them to the refillable pet waste stations shown in the photo below. 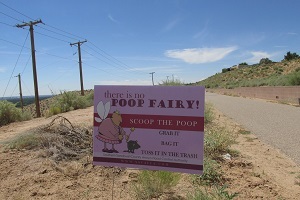 We continue to monitor the pilot program sections of land and will provide updated information on the impact of this pilot poop fairy program.